When it comes to biotech stocks, the perception is that the sector is a gamble. Many investors believe that most biotech stocks are clinical-stage lotto tickets that will only succeed on a wish and a prayer. And that is true to a point. There are plenty of those firms out there. However, the sector is also full of ripe and mature firms in the commercial stages of their lifespan. It’s here that investors can find stable cash flows, profits, and even dividend stocks. That’s right. There are even biotech stocks that offer you some big yields as well. Even better, is that while these pharma stocks have steady cash flows and revenues, there’s still plenty of growth left in the tank from new drugs in development. 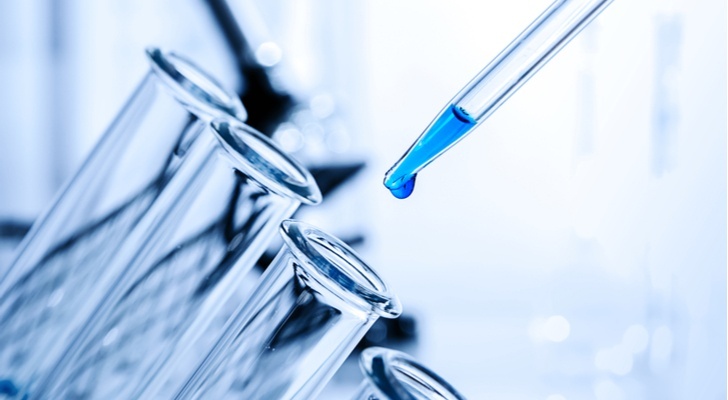 These dividend-paying biotech stocks could be the best way to play the sector. Their dividends make them less volatile than the lotto tickets, but there’s still plenty of upside potential as well. And with the overall market down in the dumps, many of these strong dividend-paying biotech stocks are now trading for peanuts. That means investors have plenty of opportunities to score some great deals. With that, here are five dividend-paying biotech stocks you need to scoop up today. There’s no denying that Amgen (NASDAQ:AMGN) is king of biotech stocks.. The firm cut its teeth on a variety of groundbreaking treatments back in the 90’s. Since then, AMGN has continued to build out an impressive portfolio of drugs. Key blockbusters like Enbrel and Neulasta are two of the most prescribed drugs in their categories. Meanwhile, new therapies such as Repatha, blood-cancer drug Kyprolis and bone-density drug Prolia have all quickly moved into blockbuster status. 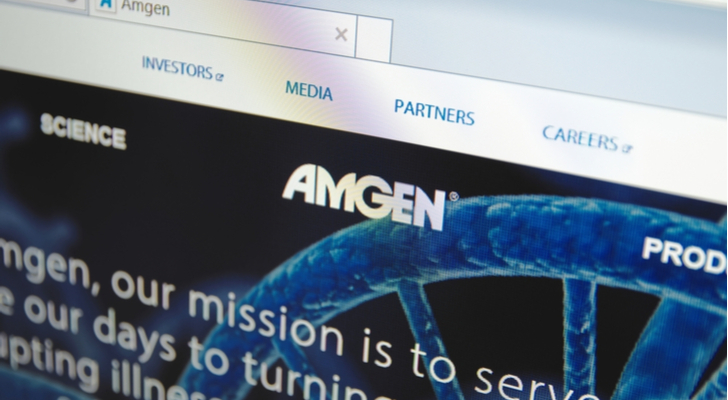 Prolia made Amgen more than $3.9 billion in sales during the third quarter alone. That’s a lot of revenue and Amgen has been very successful at turning those sales into profits/free cash flows. With more than $29 billion still on its balance sheet, Amgen has also been very successful at returning that cash back to investors. The firm has been a buyback king — buying back more than $1.9 billion in stock last quarter. It’s also one heck of a dividend-growth stock. Since it initiated a payout in 2011, AMGN has increased its dividend by nearly 375%. With steady revenues, a big pipeline, plenty of cash on its balance, the odds are still in Amgen’s favor to keep the tread going. And at a P/E of around 13, it’s one of the biggest bargains for investors in the sector these days. Like Amgen, Gilead Sciences (NASDAQ:GILD) built its impressive dividend on the back of several key blockbuster drugs. Big cash flows from hepatitis-C and antiviral medications managed to build an impressive cash balance of over $34 billion on GILD’s balance sheet. With such immense cash, Gilead has turned to rewarding shareholders with back-to-back annual increases of 10% over the last two years. The firm has also been a buyback champion. And yet, investors have taken shares to the woodshed — shares are down about 44% since its 2015 peak. Much of that comes from revenue declines in Hep-C medicines and the loss of patient protection. However, GILD is far from a one-trick pony. The firm is far and away the lead drug company in various HIV medications and revenues here continue to grow rapidly. Secondly, the firm plenty in its pipeline. This includes new treatments for NASH, a rich potential rheumatoid arthritis blockbuster partnership with Galapagos (NASDAQ:GLPG) as well as several CAR-T cancer treatments in development. All of these new drugs should help GILD replace its aging hepatitis portfolio with ease. 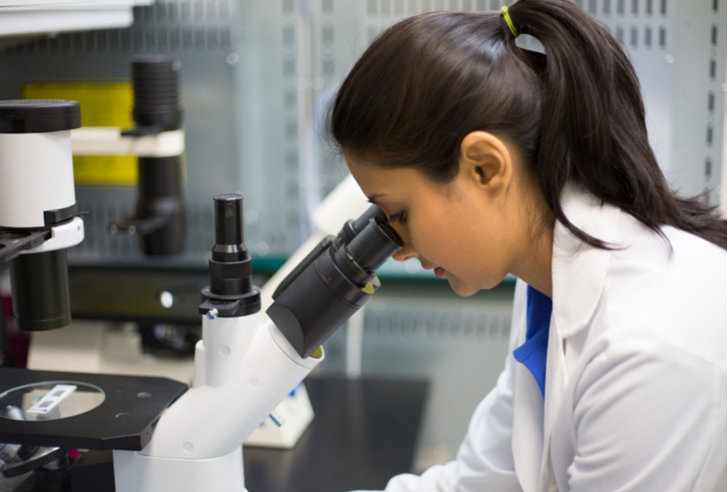 That means, investors buying this biotech stocks’ 3.42% dividend can rest easy. That payout isn’t going anywhere for a long while. A big-time approval can do wonders for your future. Just ask AbbVie Inc. (NASDAQ:ABBV). The story at ABBV has long been Humira. The autoimmune-disease medication has been an insane blockbuster for the biotech firm. Doctors continue to use the drug for a variety of different indications and as a result, Humira has long been one of the best-selling drugs year in and year out. Last year alone, Humira managed to net AbbVie more than $16 billion in revenues. Which is also kind of the problem and one of the reasons for ABBV’s 5% dividend yield. As one of the biggest generates of AbbVie’s bottom line, the fact that the wonder drug is falling off patent shouldn’t be taken lightly. That cliff is a real threat, but it looks like this one biotech stock that is up to the challenge. For starters, ABBV has managed to kick the can via legal means on Humira’s patent until at least 2022. That should limit the cash flow loss. In fact, management expects annual Humira sales to climb to more than $21 billion by 2020. It also gives it time to push through on its impressive pipeline of drugs. And it is seeing success here. Recently, AbbVie and partner Roche scored a big win for its acute myeloid leukemia drug, Venclexta. With a hefty cash balance and continued clinical wins, ABBV offers a rare opportunity among biotechs: a high yield that is actually safe. 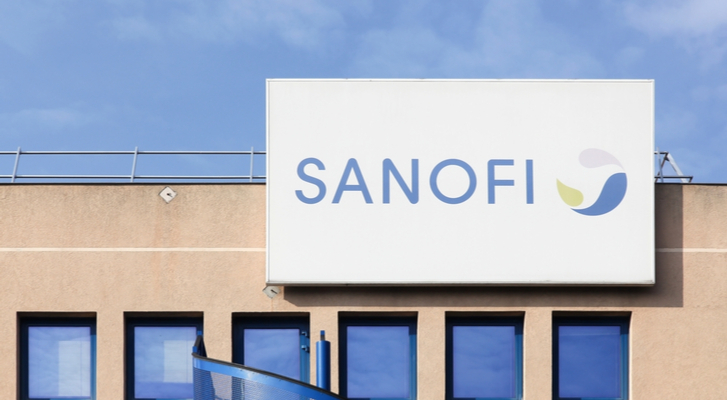 At first blush, the next of our dividend stocks, French drug producer Sanofi (NYSE:SNY), looks more like a traditional pharmaceutical firm. It’s long been a leader in the vaccines space as well as being one of the big players in the diabetes arena Its diabetes drug Lantus is a big revenue driver for the firm. But thanks to a series of shrewd buyouts, SNY has quickly morphed from traditional pharma into biotech royalty. Back in 2011, Sanofi purchased Genzyme. At the time, Genzyme was the fourth-largest biotech firm in the country. With a huge product portfolio, that instantly made SNY one of the biggest biotech stocks around. Since that time, as a subsidiary of Sanofi, Genzyme has cranked out more medications and features over twenty different biotech drugs. Not to mention a rich pipeline of new ones. But Sanofi wasn’t done yet. With Lantus hitting a patent cliff, the drug maker is looking for other long runway therapy sectors to fill its coffers and it’s chosen hemophilia drug-specialist Bioverativ. With the market for new hemophilia medications estimated to be about $10 billion annually, SNY now has plenty of potential in the space. Especially, when you consider that Bioverativ managed to see year over year sales jump 27% before they were acquired. The firm more recently struck a deal with Denali Therapeutics (NASDAQ:DNLI) develop treatments for neurological and inflammatory diseases. All in all, Sanofi has hitched its future towards biotech drugs and those new therapies will help continue powering the firm’s profits and its dividend for years to come. Truth be told, Allergan (NYSE:AGN) could be the biggest bargain of any stock on this list. It’s also the riskiest. The back story to AGN comes from several failed buyout attempts. First, it was courted by Bausch Health Companies Inc (NYSE:BHC), only to spur their advances before a huge scandal hit BHC. It then merged with generic drug producer Actavis to form the current version of the company. It was later courted by Pfizer (NYSE:PFE) and then sold its generics business to Teva (NASDAQ:TEVA). The point is, Allergan has gone through a lot in only a few short years. Because of this, investors continue to consider it sort of the black sheep of the biotech stocks world. On the surface, it looks like it doesn’t have much focus. But digging deeper, AGN has plenty going for it. For starters, the firm is behind some huge blockbusters such as Botox, Lizness and Restasis. These drugs plus others still produce plenty of cash flows and profits for AGN. This has allowed the firm to pay a decent and growing dividend — currently 1.87%. The firm has a decent pipeline as well. Moreover, management has recently launched a strategic review of its operations and is looking to sell/spin-off its women’s health and infectious disease units. These sales should raise plenty of cash — about $4 to $5 billion — and help the firm focus in on its core operating areas. Analysts estimate that this cash will go right into investors pockets via buybacks and dividends. All in all, AGN represents a turnaround play. But at least, investors get a dividend while the wait for that to pan out. Article printed from InvestorPlace Media, https://investorplace.com/2018/11/5-biotech-stocks-scoop-big-dividends/.